The following is from This is Local London. A review and photos will follow. The exhibition will be at Kingston Museum from 28th July. 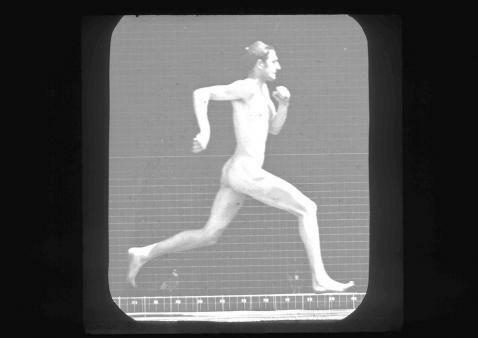 In the Olympic year Kingston Museum is exploring old and new techniques used to capture athletes in motion. The exhibition will demonstrate the way artists and photographers have changed and evolved and how they depict the human body over time. The showcase includes work by Kingston-born, Victorian photographer Eadweard Muybridge, who bequeathed his personal collection to the borough in 1904 and paved the way for capturing the world in motion. He was a pioneer in trying to capture motion in sequence photography and the exhibition displays many of his 1887 experiments of humans and animals in motion. 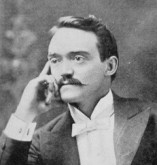 Much of his work was devoted to athletics and the male physical form, reflecting a new emphasis on physical fitness and ideals of masculinity in the 19th century. In contrast, the display also includes contemporary artist David Michalek’s work, which captures athletes in motion in high definition. Coinciding with the 2012 Games the exhibition also focuses on 21st century techniques, including the use of sport biomechanics to measure and correct technique and injury rehabilitation. A video by Charlie Murphy, called the Kingston Big Wheel, will accompany the exhibition, courtesy of the Stanley Picker Gallery. David Michalek is an artist who takes the concept and techniques of portraiture as the starting points for the creation of his works, on both a large and small-scale, in a range of mediums. While earning a B.A. in English Literature from U.C.L.A., Michalek worked as an assistant to noted photographer Herb Ritts. Beginning in the mid-1990s, he began his professional photographic career working as a portrait artist for publications such as The New Yorker, Vanity Fair, Interview, and Vogue. Concurrently, Michalek began to delve into performance, installation, and multi-disciplinary projects. Since giving up commercial photography in 1998, his work has been shown nationally and internationally with recent public art and solo exhibitions at the Brooklyn Museum, the LA Music Center, Harvard University, Sadler’s Wells, Trafalgar Square, Opera Bastille, Venice Biennale, Yale University, The Kitchen, Lincoln Center and at the Edinburgh Festival at Summerhall with the Richard DeMarco Foundation. He has collaborated on the visual art component of two staged works with Peter Sellars: Kafka Fragments, presented as part of Carnegie Hall’s 2005-06 season; and St. François d’Assise, presented at the Salzburg Festival and Paris Opera. Other film and video work for theater includes collaborations with The Tallis Scholars; John Malpede and L.A.P.D., and with the Brooklyn Philharmonic in a project for The Brooklyn Museum’s “Music Off the Walls” series. He is a visiting faculty member at Yale Divinity School, where he lectures on religion and the arts. David Michalek lives in New York with his wife Wendy Whelan, principal dancer of New York City Ballet. Animal Locomotion, the collection of 781 collotype plates of Eadweard Muybridge’s photographic work at the University of Pennsylvania first published in 1887 has achieved significant exposure during the past year or so, with the various major exhibitions, smaller displays such as Muybridge’s Revolver (more about that soon), and publication of the huge Taschen book. There has been a growing presence on the web, too. The University of Southern California has a large number – around 700 – accessible to view as complete plates, or individual images. Animations of each sequence may be seen too. Where the plate comprises more than one sequence; that is, two actions, or one action photographed from different angles, each part is animated separately (just scroll down the individual pictures at left to find the animations). This is any easy way to view the subjects in motion, and the largest collection of such animations on the web – though it’s worth remembering that Muybridge’s audiences didn’t see these photographic images in this way. Although the plates are not in any particular order, the search box will find what you are looking for: e.g. Muybridge cricket. A very useful addition to web-based Muybridge work. Palo Alto, Calif. – Xsens, a supplier of 3D motion tracking systems, and the Rothschild Fund have accomplished what is being called the world’s first 3D inertial motion capture of a free-moving horse. 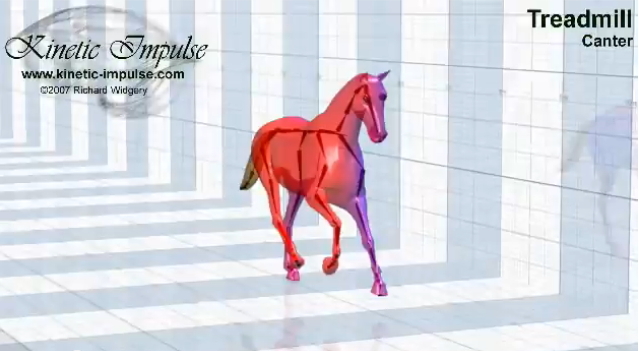 The joint project of Xsens and the Rothschild Fund was completed using an advanced prototype system developed by Xsens to enable 3D motion capture of equine locomotion in real-world conditions. The system employs inertial sensors located on the horse’s body and GPS to trackfull-body motion in any environment, indoors and outdoors, allowing the horse’s innate, voluntary movements to be recorded and viewed on a standard PC in real-time. Xsens’ R&D Team accepted the challenge of developing the prototype, an inertial motion capture system for horses, as an inspiring and out-of-the box project. The aim was to push the boundaries of its MVN inertial motion capture technology, requiring integration with GPS position and velocity tracking, a more complex biomechanical model, and higher motion dynamics. “We loved the challenge of pushing our technology beyond the state-of-art and to be part of the great ambition of the Rothschild Fund. They provided the equine biomechanical models, equine knowledge, and the horses, so we could focus on the challenge in the sensor fusion,” Henk Luinge (PhD), research manager at Xsens, explains. Members of Xsens’ R&D Team and the Rothschild Fund performed the world’s-first 3D inertial motion capture of a horse’s gallop in Woodside, Calif. The location is less than 15 kilometers from the site of Leland Stanford’s Palo Alto racetrack where the famous photographer, Eadweard Muybridge, recorded the world’s-first 2D photographic motion capture of a horse’s trot 130 years ago. More on this, in relation to historical precedents, soon. Eadweard Muybridge is to be inducted into the National Inventors Hall of Fame on May 4th. Alexandria VA (March 3, 2011)—Continuing to celebrate its mission of recognizing and fostering invention, the National Inventors Hall of Fame has announced its 2011 Inductees. The life-changing innovations that have come about through this year’s class include the sensor that makes cameras in today’s cell phones possible, the battery that powers most implantable defibrillators, and the basis of exchanging secure information over the Internet. 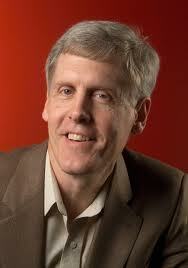 This year’s ‘Living Inductees’ include Steve Sasson, for the Digital Camera. 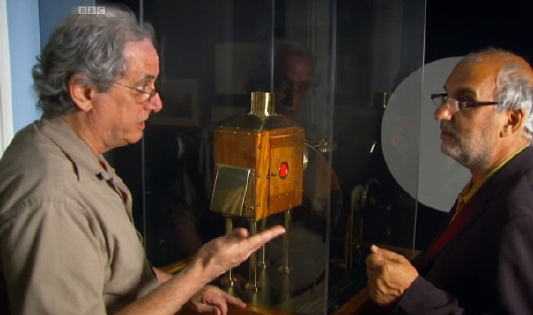 In 1975, Kodak engineer Steve Sasson created a device that captured an image, converted it to an electronic signal, digitized the signal, and stored the image—the first digital camera. This year’s Induction ceremony, sponsored in part by the United States Patent and Trademark Office and the Kauffman Foundation, take place on May 4 at the historic Patent Office Building, now the Smithsonian American Art Museum and the National Portrait Gallery, in Washington, D.C. The location is particularly appropriate because this year’s class of inductees includes a group of 29 historical inventors who will be recognized posthumously, most of whom would have submitted patent applications to the same building where they will be honored. The National Inventors Hall of Fame (NIHF) is a not-for-profit organization dedicated to recognizing, honoring and encouraging invention and creativity through the administration of its programs. The Hall of Fame honors the men and women responsible for the great technological advances that make human, social and economic progress possible. The National Inventors Hall of Fame was founded in 1973 on the initiative of H. Hume Mathews, then chairman of the National Council of Patent Law Associations (now called the National Council of Intellectual Property Law Associations). The U.S. Patent and Trademark Office became a cosponsor of the NIHF the following year. The Hall is currently located in Alexandria, Virginia, with satellite offices in the Washington, D.C., area and in Los Angeles, California. Originally housed in the U.S. Patent and Trademark Office, the Hall outgrew its location and moved to Akron. Ohio. The Hall of Fame building in Akron, which also housed hands-on interactive exhibits, opened to the public in 1995. The building is currently under construction to build the National Inventors Hall of Fame School Center for Science, Technology, Engineering and Mathematics Learning. During the annual induction ceremony, a new class of inventors is recognized. Inventors must hold a U.S. patent to be considered, and the invention must have contributed to the welfare of mankind and have promoted the progress of science and the useful arts. A National Selection Committee and Blue Ribbon Panel select inductees. The National Inventors Hall of Fame takes part in physical activities that embody the inventive spirit. The National Inventors Hall of Fame promotes future generations of inventors through Invent Now Kids, a major subsidiary of the organization, and the Collegiate Inventors Competition. In addition, the National Inventors Hall of Fame is involved with many ventures as well as special projects with national partners. Reading Public Museum (Pennsylvania) is currently showing an exhibition comprising the instantaneous photography of two ‘Time Lords’ – Eadweard Muybridge and Harold Edgerton. The text below is a review in the Reading Eagle. “In what can be termed an interesting crossover between art, science and photography, the pairing of two unrelated photographers, separated by time and location yet working in similar modes, surprisingly congeals very well for an exhibit of photography on view at the Reading Public Museum. Titled ‘Photographing Motion: Eadweard Muybridge and Harold Edgerton’, the photos contend with the idea of high speed or strobe photography, in which moving objects are captured frozen in mid-movement, in some cases extraordinarily fast with such things as birds caught in flight or bullets bursting through fruit. Rachael Arauz from the University of Pennsylvania curated the exhibit, having worked previously with the Reading Public Museum on the Keith Haring exhibit of 2006 and the 2008 exhibit of the Masters of American Photography. The Muybridge prints, an amazing 781 black-and-white photographs, have been in the museum’s collection since it opened its doors in 1904, but upon receiving a recent gift from the Edgerton Family Foundation of nine photos, it appeared a sound idea to pair their similarities. A carefully chosen selection of Muybridge’s “Animal Locomotion” series and the entire Edgerton gift are on display in the second-floor science gallery through Jan. 16. By utilizing sequentially positioned and up to 36 timed cameras at strategic locations, Muybridge invented a method of catching his subjects: trotting horses at first, then people as they were walking, riding in carriages, smoking cigarettes or engaging in other forms of movement. The photos, all of which were taken in the late 1800s, were framed and placed gridlike in multiples that extrapolated those details ordinarily unnoticed by the naked eye. 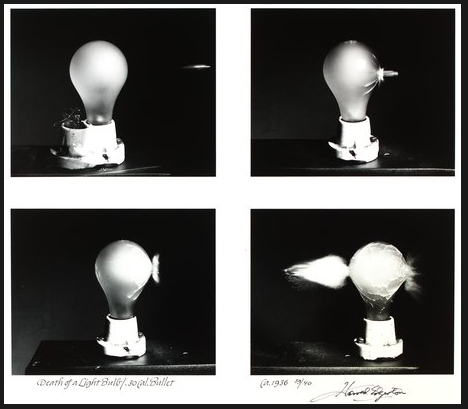 Expanding upon those principles 50 years later, “Doc” Edgerton was trained as an electrical engineer and originally used stroboscopic flashes to research the movement of fast-moving machinery. This however found its way into other applications, freezing time so to speak in one-millionth-of-a-second flashes. A girl jumping rope in overlapping leaps and a split-second tumbling acrobat are included, as well as the famous full-color image of a bullet passing through an apple in one and a banana or playing card in others, as the photos documented all the actions of an object or person in real time. Given the impression of incredibly slow motion, the actual photos took less than a second or two to take, not regarding the intensive consideration, preparation and equipment involved, while presaging high-definition nondigital work by many years. Edgerton is also credited with “Corona,” the timeless image of a drop of milk suspended in midair, now in the collection of the Museum of Modern Art but unfortunately not in this show. The Reading Public Museum is located at 500 Museum Road. Call 610-371-5850 or visit http://www.readingpublicmuseum.org for hours and additional information. ©The Harold & Esther Edgerton Foundation, 2001, Courtesy of Palm Press, Inc.
Capturing the motion on wetplate – now! Photographer Ian Ruhter’s blog reveals details of a current experiment in capturing motion using wet plate photography, as Muybridge did in 1878-79. 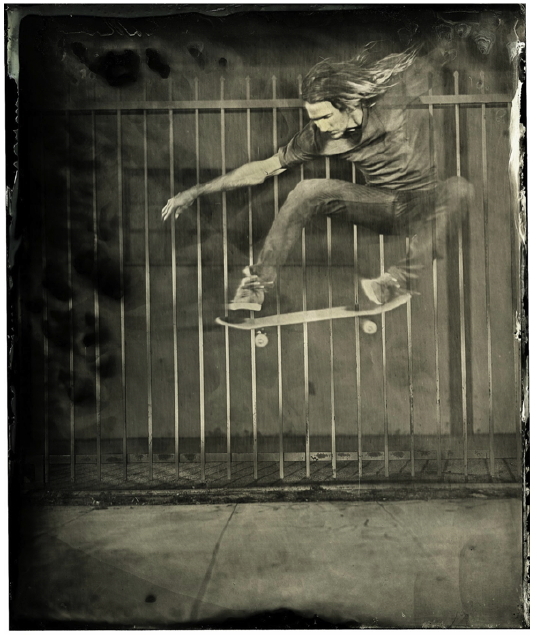 “Over the last six months of shooting, testing, and experimenting with wet plate collodion I didn’t realize that it had been leading up to this shoot with Levi Brown. I never thought I would do something that has never been done before but this was in the back of my mind. Photography has been around for over 100 years and it still seemed to be an almost impossible feat. I have been looking into the works of Eadweard Muybridge, which is where the inspiration for the shoot came from…. I wanted to see if I could do what he did. 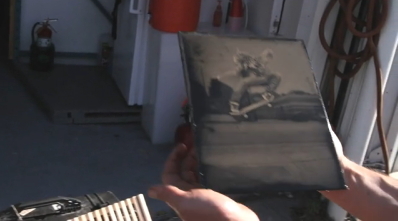 Ian Ruhter: Capturing Motion on Wetplate, from What the Fleet on Vimeo. I set out to see if this was possible using modern day equipment. I took a few weeks of planning and asking for a ton of favors. It finally came down to shoot day. We started setting up and everyone was excited to see what was going to happen. I explained to Levi that this might not work out– I didn’t want to waste his time. I had never worked with him and I knew he has a busy schedule. He is a professional skateboarder for Element and was about to go on tour, so his time was limited. Levi said, “This will work, you just have to be positive.” This may sound kind of hippy, but I believed him—the power of positivity. I was stoked on all the good energy. I asked him to stand in so I could get a light meter reading. 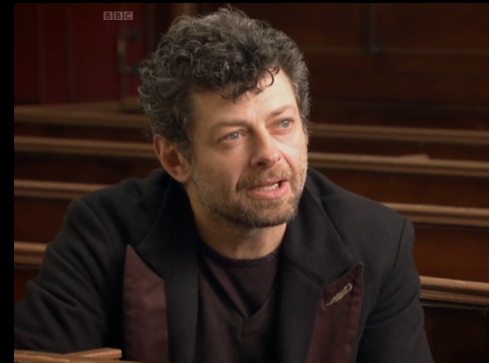 I had to ask him to wear sunglasses because the light was going to be very intense– I didn’t want to damage his eyes. I fired the strobes (he said could feel the heat from the flash). To do this, you need a tremendous amount of light– much more light than I had ever used before. Everyone stepped aside and I hooked up the camera to the lights. I tested it once to see if they would all fire at the same time. It sounded like a bomb went off. One of the flash heads had exploded right in front of Levi and my assistant Mark. Glass was propelled from the light like a shotgun– right at their faces. Somehow, it did not hit anyone. My first thought was “this is going to be really bad…” but there is something to be said about having positive energy. No one from my crew had ever seen anything like this happen before. I thought Levi was going to be hesitant about going through with it after that. He wasn’t even fazed by it. He said, “lets do this!” and we all went about our business like nothing happened. Interesting experiment, great photographs. If skateboarding had been around in the 1870s or 80s, perhaps it would have featured in The Attitudes of Animals in Motion, or Animal Locomotion. Of course Muybridge was working without the benefit of high-power flash, using sunlight instead. Maybe someone will experiment with the chemistry, to see how he managed to make his wet plates so sensitive.